Flock Silk Screen Print from Naomi Murrell & found thanks to Greedy Girl. So here we are on the precipice of looooooove! And, I couldn't just let the weekend go by and not wish all y'all a little love! So be well, Kids and know that your Uncle sends you smiles across the miles. I know, they ain't cupcakes but smiles will have to do! Woops...I did click that link that was sent out. Fingers crossed my machine doesn't erupt in a blast of smoke and flame. Hi Uncle! Catch this smile :) all the way from Brazil! Trashed it straight away. No harm done. Hope your end of things is OK now. Adore Naomi's work. I was only looking at her shop yesterday. 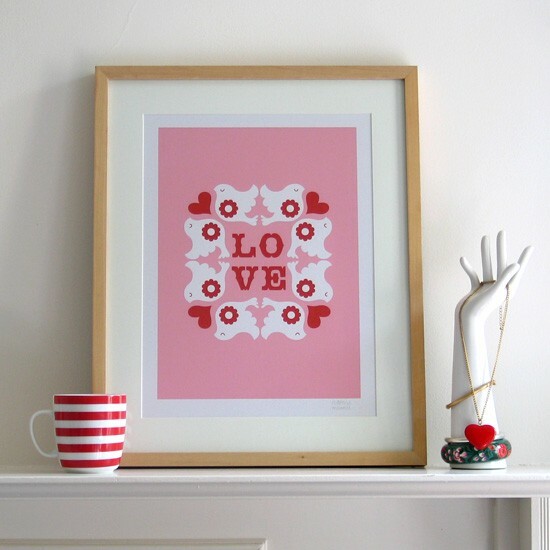 Love the print....beautiful.Hope you had an perfectly Beefy valentine! 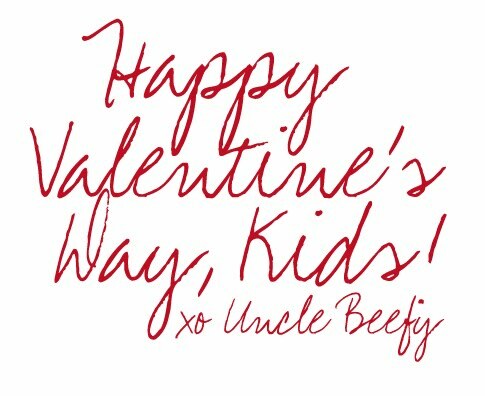 though i'm not the big valentine's day fan as some, i'll send out blog admiration to your site, uncle b! hope all is well up your way ... -Jg.